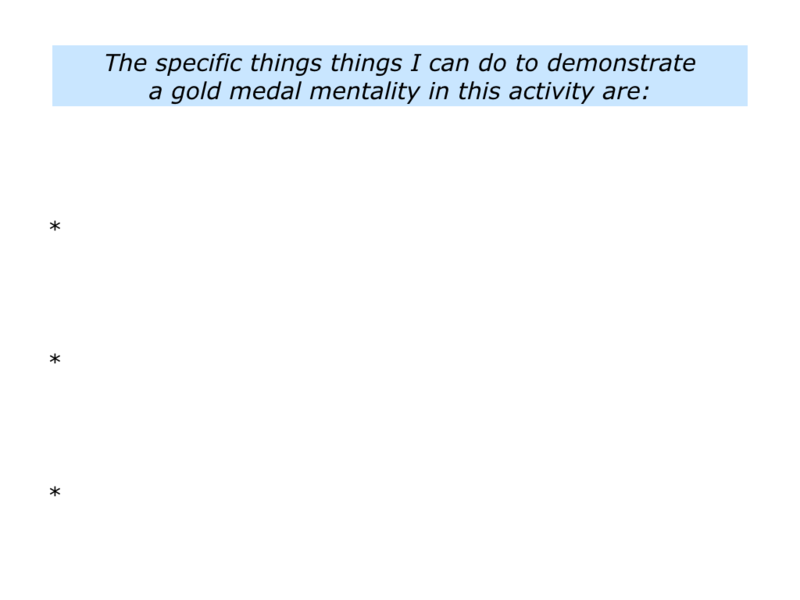 Looking at the activity in which they excelled, what did they do right to embody high standards? They may have followed daily rituals, given their best and continually aimed to improve. There are, of course, many different definitions of such a mentality. 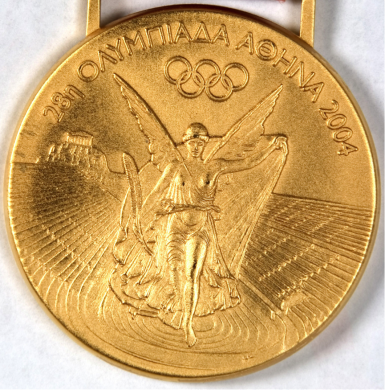 The one I focus on is where people aim to become the best they can be, rather than compete against others. Growing up in Derby in UK, I was not good at school and left at 15 to work in a factory. 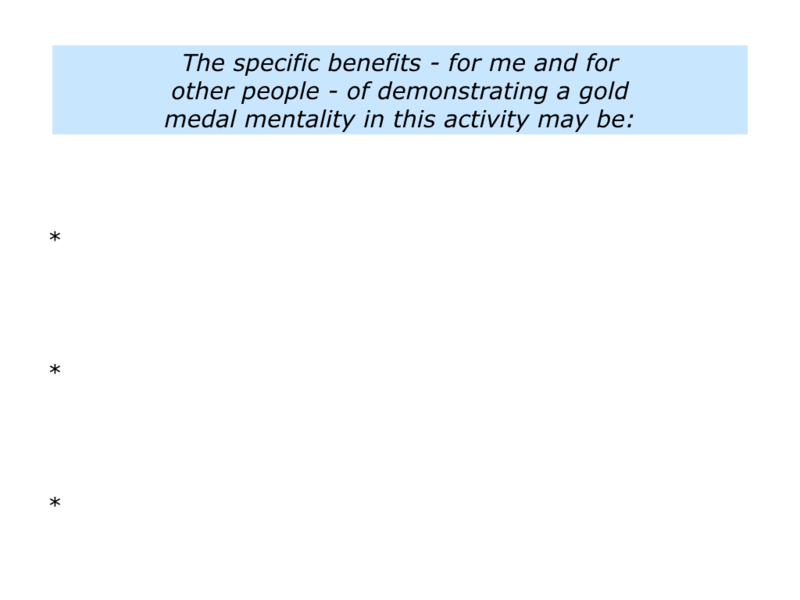 I was fascinated, however, by people who performed brilliantly. This led to me travelling far and wide to watch great performers in action. In 1964, for example, I managed to meet Roy Orbison after one of his first concerts in England. He was brilliant on stage. What I also learned, however, was that he was kind, polite and generous with his time. He showed how to behave as both a person and a professional. My other passion was football. The team I watched was managed by Brian Clough, who was an iconic leader. This was when I first heard about the strengths approach. Clough used to tell players who joined that he aimed to build on their strengths. He said something like the following. 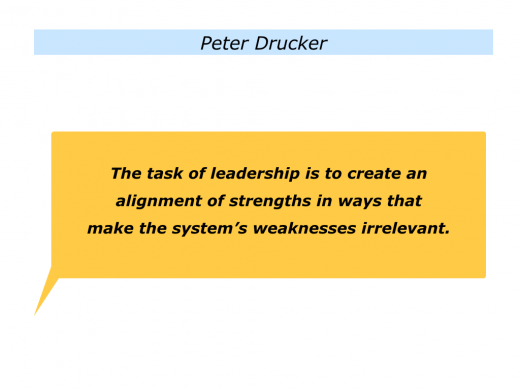 Many years later Peter Drucker would describe what he saw as the eternal task of leaders. Moving on from the factory when I was 21, I got a job in an office. I then did full time voluntary work, before working in therapeutic communities. This provided the chanced to learn from giants in the field, such as Tony Manocchio, a controversial but brilliant therapist. I also wrote to pioneers such as George Lyward and David Wills, asking if I could visit them and ask some questions. They proved kind, gracious and encouraging. Looking back at their own lives, they shared lessons learned over the years. 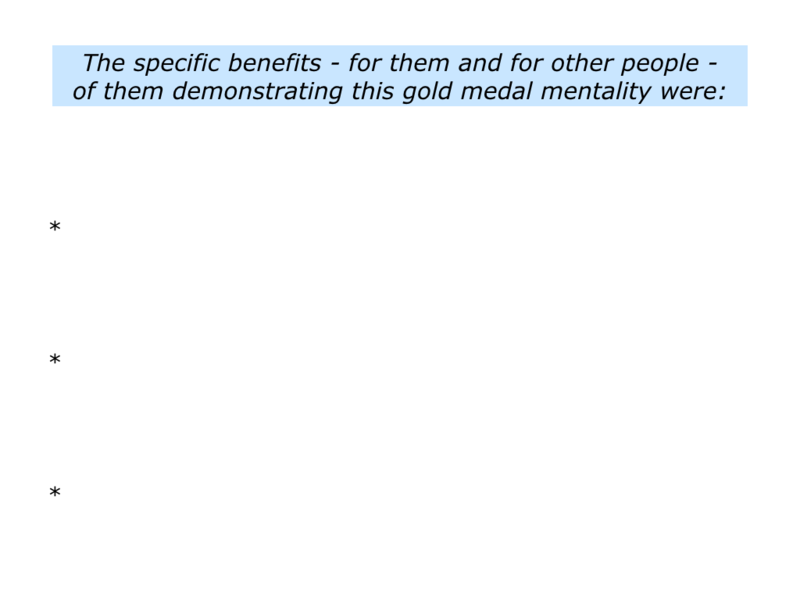 They underlined the importance of aiming to deliver high standards and having a gold medal mentality. 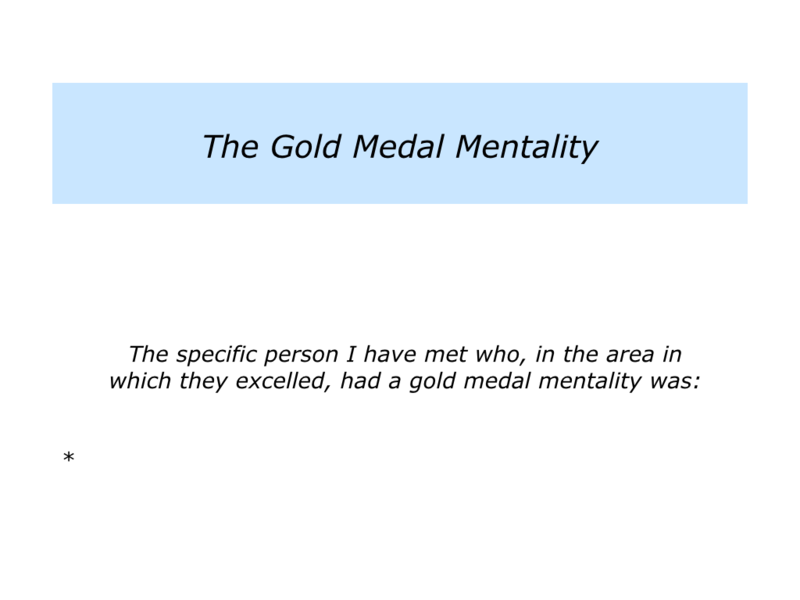 Describe a person you have met who, in the area in which they excelled, had a gold medal mentality. 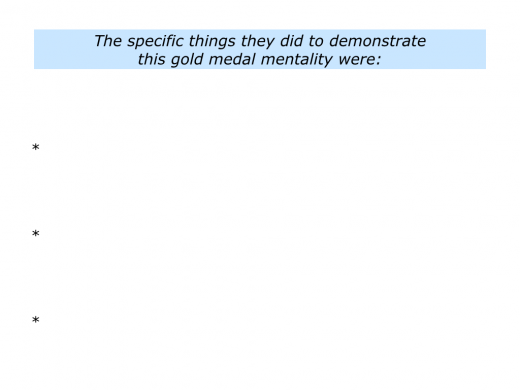 Describe the specific things they did to demonstrate this gold medal mentality. 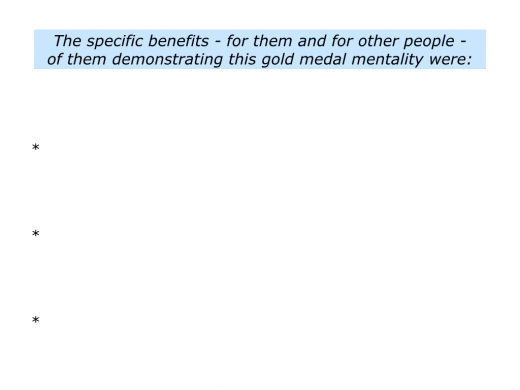 Describe the specific benefits – both for them and for other people – of them demonstrating this gold medal mentality. 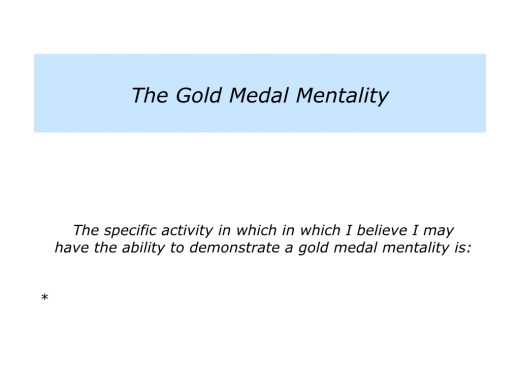 Looking at your own life and work, are there any activities in which you would like to demonstrate a gold medal mentality? How to find such an activity? One approach is to focus on the specific activities where you feel at ease and yet able to excel. 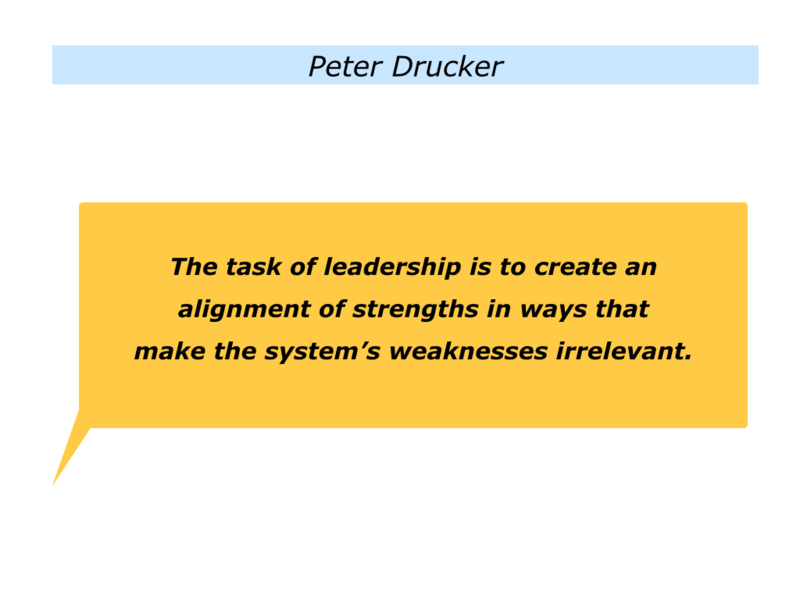 Choose one you feel passionately about where you also have the ability to deliver peak performance. As mentioned earlier, during my early career I had the opportunity to look for and find such models. They showed what good looked like. Over the following years I was able to learn from others who took this approach. During my late 60s, for example, I learned from meeting Professor Mark Emberton, a pioneer in non-invasive treatments for prostate cancer. 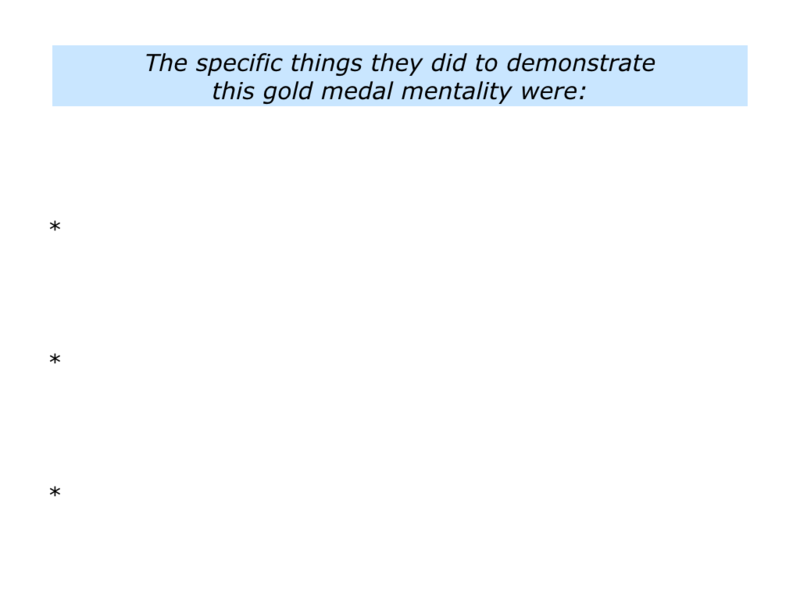 He demonstrated a gold medal mentality. Identifying the symptoms after my annual Well Man check, I sought out the leading practitioners of non-invasive treatments. Eventually I found and met Mark. Mark is an encouraging person and also brilliant at his profession. 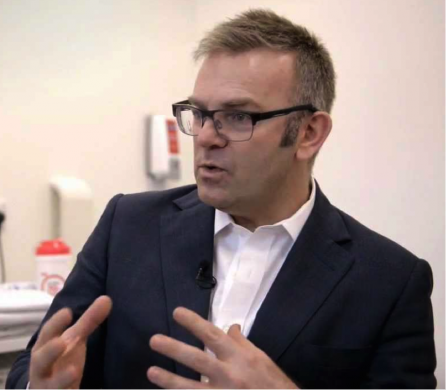 You can discover more about his work – and what happened during the successful treatment – via the following link. 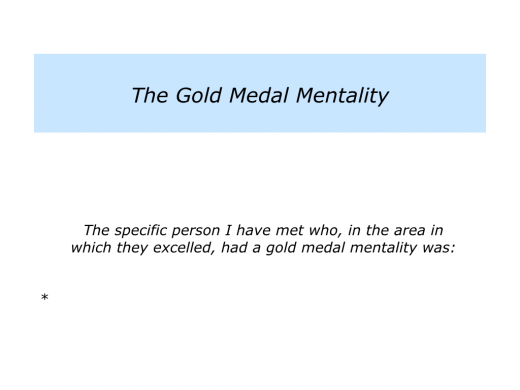 Katie Ledger is another person who has a gold medal mentality. Introduced to her by David, her husband, she and I worked together on many projects. 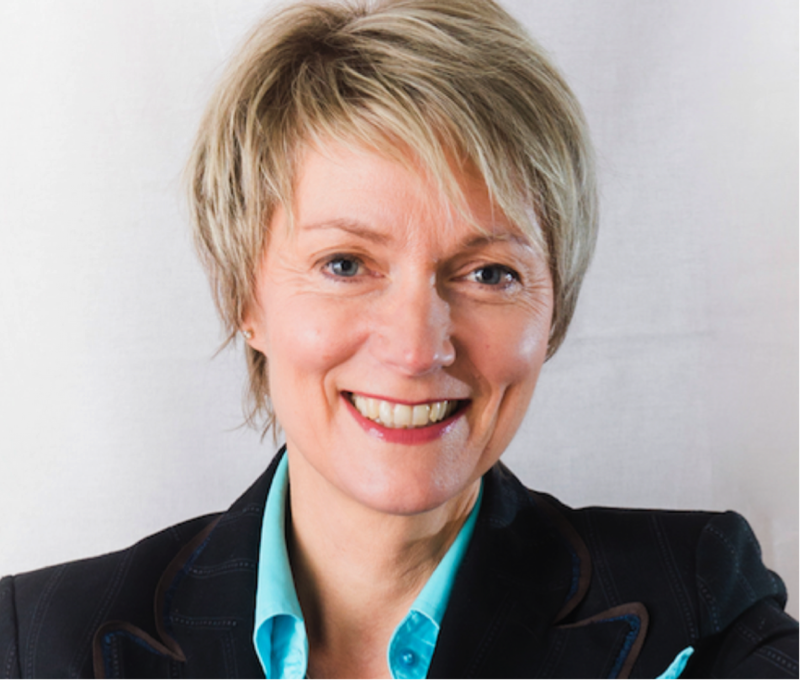 A superb communications coach, she enables people to be real when speaking to different kinds of audiences. Katie has expanded her repertoire for enabling people to deal with challenging situations. Her aim remains the same. It is to help people to become they best they can be. You can discover more about her work via the following link. You will, of course, have your own approach to demonstrating high standards. If you wish, try tackling the exercise on this theme. This invites you to do the following things. Describe a specific activity in which you believe you have the ability to demonstrate a gold medal mentality. 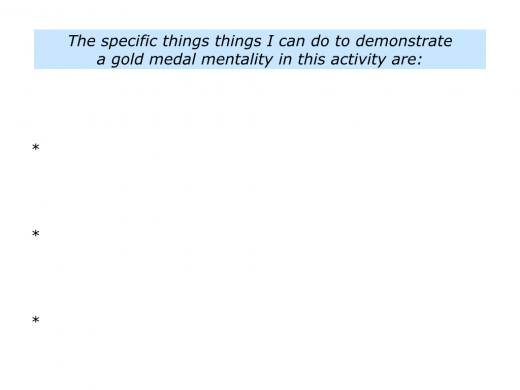 Describe the specific things you can do to demonstrate a gold medal mentality in this activity. 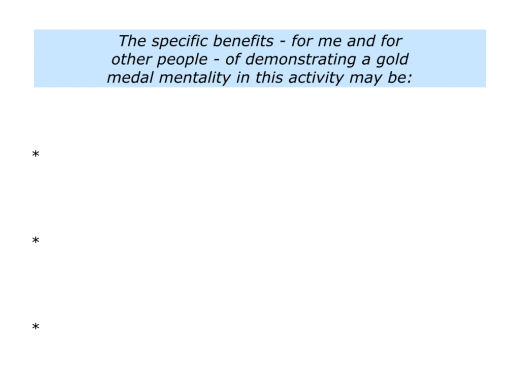 Describe the specific benefits of doing these things – for both you and other people.